Often patients who have lost teeth in the upper jaw require a sinus lift in order to have dental implants placed. This is because the bone in the area where teeth are missing naturally beings to shrink, or resorbs, over time. As a result, the sinuses expand to occupy the empty space where the bone used to be. 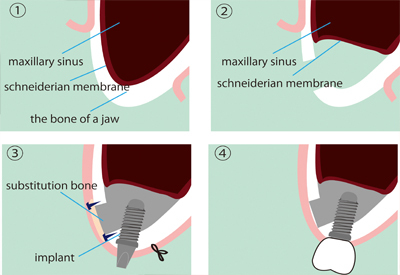 With insufficient bone to securely place the dental implant, a sinus lift is necessary to move the sinus where it is meant to be and to place additional bone in the area. There are two forms of sinus lift procedures and the form you receive depends on your individual needs and the amount of bone you still have. You doctor will discuss your options prior to the procedure. Before the procedure begins, a local anesthetic is applied to the site. The doctor will then create a small opening in the bone to access the sinus cavity. Using a small instrument, the doctor will then gently lift the sinus back to its original position. A grafting material is then placed beneath the newly raised sinus cavity along the existing bone. This grafting material will then mesh with your bone, thus creating more bone. Usually, you will require 4-9 months to heal completely from the sinus lift procedure before dental implants can be placed. This increase in bone will compensate for bone lost and will allow for multiple implants to be placed. 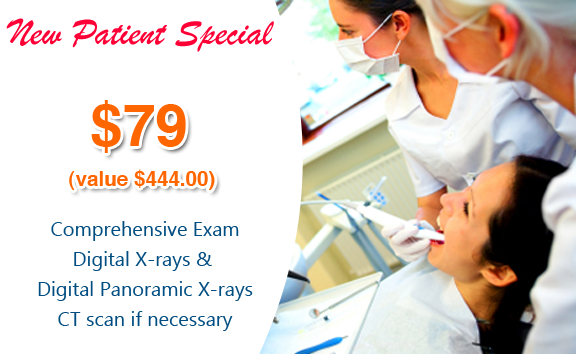 Without this procedure, many patients will not qualify for dental implants.